Home / Chris-Columbus / Jason-Momoa / Joe-Quesada / Kevin-Feige / marvel / Namor / Phillip-Kaufman / Who Owns The Namor Movie Rights? 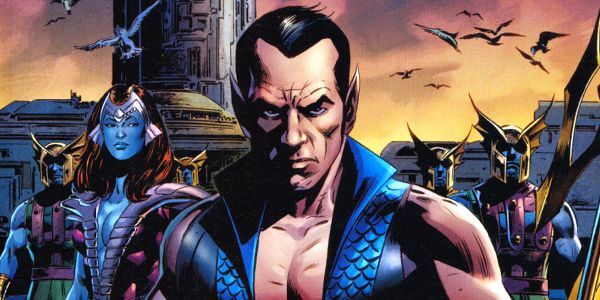 Who Owns The Namor Movie Rights? Can Marvel bring Namor the Sub-Mariner into the Marvel Cinematic Universe? Yes, but it's complicated. He's the biggest superhero that no one has ever heard of, but a big screen movie could change all that. Remember Ant-Man? Black Panther? Both were virtually unknown outside of the comic book world, but now they're household names thanks to movies like Captain America: Civil War. Namor could be just as popular. So who owns the movie rights? Let's follow the history of the movie rights and see how Marvel lost and got the rights back. Who Owned The Movie Rights To Namor in the 1990s? Through the 1970s to the early 1990s, Marvel sold the movie rights to popular comic book characters for quick cash (they still went bankrupt, but it helped). From the late 1980s to 1996, most of the major characters like the Fantastic Four, X-Men, Daredevil, Hulk, Silver Surfer, and Iron Man had been optioned to the studios. They even sold movie rights to "minor" characters like Man-Thing. In 1997, Phillip Kaufman, known for movies like the 1978 Invasion of the Body Snatchers remake, began discussions with Marvel Studios to develop a movie based on Namor. Batman writer Sam Hamm was rumored to be writing the script. At the time Kaufman said it would mirror his own interests in environmental issues. Prince Namor was described as a man who has "certain bad feelings toward the people up above, on Earth, because of his ecological concerns." He added that this as a time that "there is no Russia or other large international bad guy to focus on, comics provide a way of dealing with good and evil in another context, and one brought up to date." Who Owned The Movie Rights To Namor in the 2000s? In 2002, Saban Entertainment began working with Marvel on a Sub-Mariner movie, with a script written by Randall Frakes who also wrote The Terminator novelization. The next year Universal Pictures hired David Self to write a new script for the film around the same time they started working on the Ang Lee Hulk movie. Marvel Studios president Avi Arad suggested the story would have Namor "battling polluters responsible for such threats to ocean life as oil spills, underwater bomb testing, and global warming." Arad said Sub-Mariner "will be an epic underwater tale of majestic fantasy." They were hoping for a 2004 release of the film but the prediction stalled after Hulk dropped a gamma bomb at the box office. Then, in 2004, director Chris Columbus entered talks to direct the film for a 2007 release but he left the project the next year. In 2006, Jonathan Mostow took over the film with the planned title of The Sub-Mariner which dropped the name Namor. Six years later, in 2012, Marvel's CCO (Chief Creative Officer) Joe Quesada said the film rights had reverted back to Marvel. At the UK "Kapow! Comic Convention" Quesada said that "to the best of his knowledge" Marvel had the movie rights to Namor the Sub-Mariner. But the next year president of Marvel Studios Kevin Feige told Empire magazine the Namor movie rights are definitively "at Universal." Who Owns The Movie Rights To Namor Now? Fast forward two years to 2014 and Borys Kit of The Hollywood Reporter tweeted "Universal does NOT have the rights to the Sub-Mariner. Marvel has them." The guy has a ton of insider knowledge so he would know, but it turns out it's even more complicated than that. 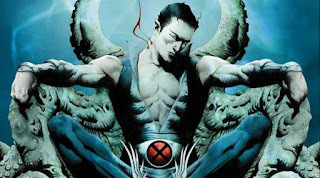 Later that year Kevin Feige confirmed in an interview with IGN that Universal and Legendary Pictures couldn’t make a Namor the Sub-Mariner movie even if they wanted to. 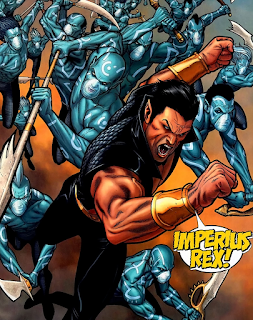 While he did confirm that Marvel Studios is the only one that could make a Namor movie he said, "there are entanglements that make it less easy. "There are older contracts that still involve other parties that mean we need to work things out before we move forward on it. As opposed to an Iron Man or any of the Avengers or any of the other Marvel characters where we could just put them in." Finally, in June of 2016, Joe Quesada again said that the Namor movie rights are back with Marvel. On the "Fatman on Batman" podcast when he was asked about the Namor film rights he said "I can't speak for studios...As far as I know, yeah we do. It’s not at Fox, it’s not at Sony...Yeah." So maybe it took two years for them to work out the “entanglements” or maybe they’re still working them out. That’s a pretty vague statement but it’s less vague after statements about the complicated film rights for characters like Hulk and Spider-Man. In the case of Spider-Man Sony agreed to license the character to Marvel Studios with a number of restrictions. For example, Marvel can use him in the movies, but can’t use him in spin-off shows based on the M.C.U. like Agents of S.H.I.E.L.D. For the Hulk, Marvel can use him in Avengers movies, but Universal has "first right of refusal" to distribute a stand-alone film. 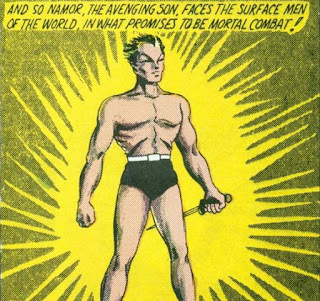 For those who don't know, Namor the Sub-Mariner is one of Marvel’s first superheroes. He first appeared in Marvel Comics #1 (1939) back when Marvel Comics was known as "Timely Publications". He was a hit and one of Timely's top three characters along with Captain America and the original Human Torch. 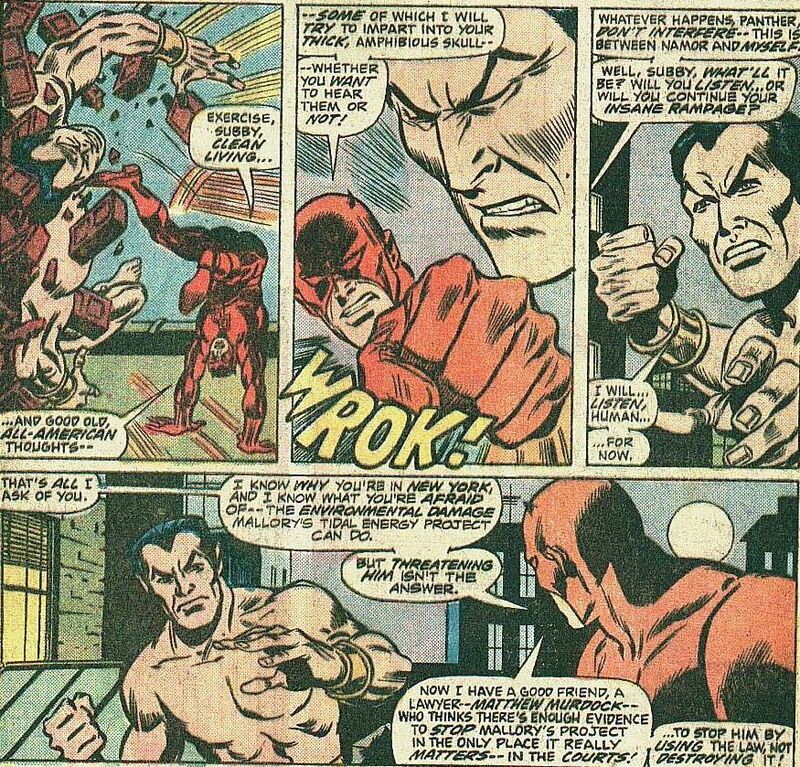 Namor's the son a human captain and an Atlantean woman, so he has characteristics of both. As the son of the princess of the underwater kingdom of Atlantis he has super-strength and the ability to breathe underwater. He also has wings on his heels which allow him to fly. He's known to be a hot-headed character and one of the first anti-heroes in comics. While he's worked with superhero teams like the Avengers, the Fantastic Four, the Invaders, the Defenders and the X-Men he's also been an enemy of them as well. 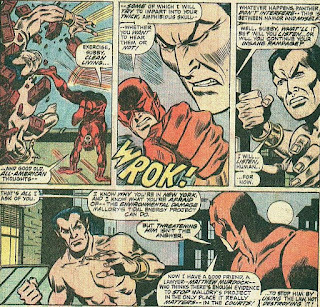 Back in 1940, Namor threatened to sink Manhattan underneath a tidal wave. In fact, in his first appearance he kills two men in revenge for attacking their underwater city. The guy has some serious anger management issues. 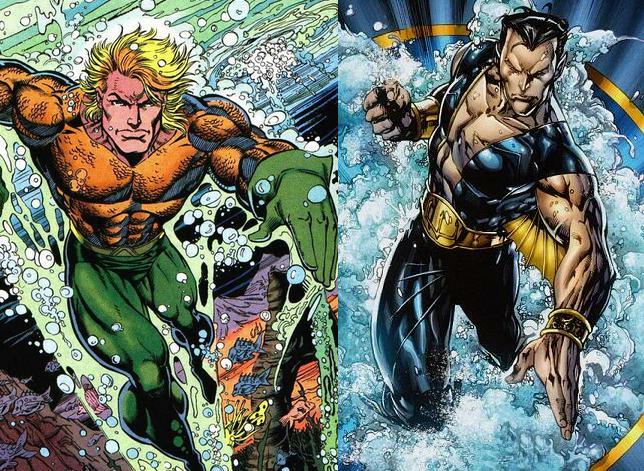 Who Came Out First: Namor Or Aquaman? 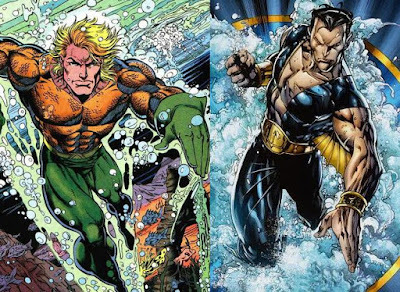 Both DC and Marvel have an underwater superhero that's the king of Atlantis. The obvious question is which came first? Namor the Sub-Mariner came first as he was first seen in Motion Picture Funnies Weekly (1939). Aquaman didn't show up until 1941 in More Fun Comics #73. While Namor came out first, Aquaman is more well-known thanks to the 1960s Super Friends cartoon. DC has beaten Marvel to the underwater superhero punch too thanks to his cameo in Batman v Superman: Dawn of Justice played by Jason Mamoa. Aquaman is co-starring in Justice League which opens November 17, 2017 and he gets a solo movie which is scheduled to open July 27, 2018. 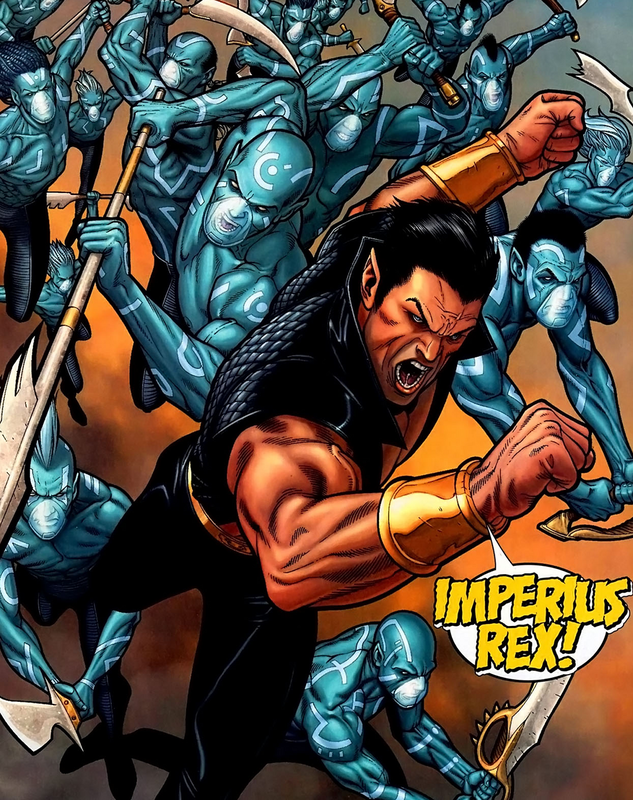 But Stephen McFeely, one of the writers for Avengers: Infinity War says they'd like to bring Namor into the movie. "He is kind of a jerk and has a chip on his shoulder and he is a king and lives underwater," McFeely said, "The degree of difficulty is so high, though. Cause it could be a great movie or it could be truly terrible." Infinity War is scheduled to open May 4, 2018 so he may make an appearance before the Aquaman solo film. We'll see. So that's the story. Marvel could make a Namor movie deal happen if they can work it out with the right people. The movie could be a hit with all the environmental issues and global warming. He could really be a major player and would be a nice contrast to King T'Challa AKA the Black Panther. Would you watch a Namor the Sub-Mariner movie? I'm an avid science fiction fan, former professional graphic designer and certified blerd. After the death of my Star Wars action figures, I use my powers for good and not for evil. Who Owns the Man-Thing Movie Rights Now? Who Owns the Movie Rights to Hulk? We love your feedback! But please be mindful of our comment policy when making comments.